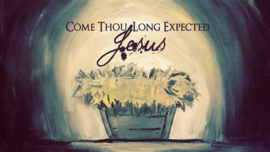 It can be easy to get caught up in the Christmas season and miss out on the reason we celebrate. This video is a funny reminder that the baby born in the manger is the same Jesus who ultimately died for our sins. He’s not just the reason for the season or the reason for cool bracelets. Jesus is worth celebrating all year. As we prepare our hearts and souls for the arrival of the Christ child, we focus on the themes of Advent: hope, love, joy, peace, and Christ. These thought-provoking and beautiful videos will fit into your Advent services as sermon introductions or to provide a time of reflection during worship. All of creation, all of God's story, all of us, long for Christ's coming. 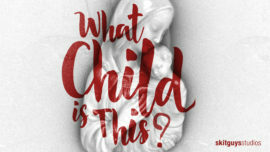 Watch this moving piece that illustrates how all of history culminates in the birth of Jesus. 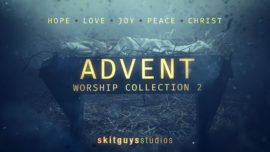 In this visually stunning series, five videos prepare your congregation for worship in the weeks leading up to (and including) Christmas. 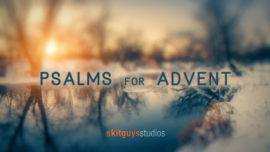 Each motion graphic video focuses on Scripture from the Psalms. 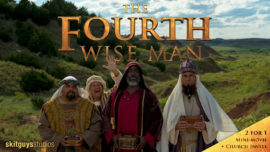 Not many people know about the fourth wise man, and how he lost his precious gift for the Savior and replaced it with an even better "gift"! But he means well and has great hope for what Jesus can do for him and the world. 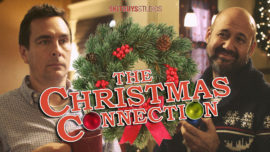 This hilarious and heart-warming mini-movie will make a great addition to any service this Christmas season. You get two versions with this purchase: the standard mini-movie, and a version to use as a Christmas invite reminder for friends and family.